If you want more than just an average suburban community, consider Crooked Creek in Milton, GA (formerly known as Alpharetta, GA.). 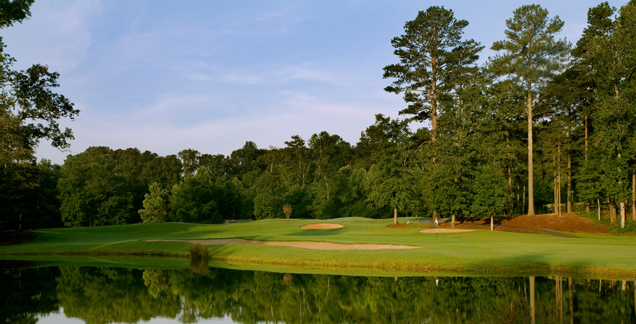 Crooked Creek is a Gated, Swim, Tennis and Golf community organized around the private Crooked Creek “Golf” Club of North Fulton County. This community consists of 640 beautiful custom homes sited on over 500 wooded acres in the foothills of the north Georgia Mountains and is a great place to live for families, tennis players, golfers and those wanting resort-style living. In addition, this Milton community offers access to the highest-rated schools in the Atlanta metro-area with the best ease of access to GA 400 and other services in Milton. Check out all of the current listings below to start searching for homes in Crooked Creek, or keep reading to find out more about the many great amenities this popular community has to offer! Listing Provided Courtesy Of: Beacon Realty of Georgia, LLC. As a Crooked Creek resident, you’ll enjoy a host of wonderful new neighborhood amenities; a 6000 square foot community clubhouse, basketball court, playground, 11 lighted tennis courts and a junior Olympic swimming pool and separate kids pool / waterpark area with many splash features and a 140 foot water slide. The recently renamed and 100% private Crooked Creek “Golf” Club features an 18 hole Michael Riley championship design that has been the center of the Crooked Creek community for over 20 years.Known as one of the Atlanta’s best golf courses, the golf club also offers a practice range and learning center sure to challenge any skill level. Located in prestigious North Fulton County, Crooked Creek is just minutes away from downtown Alpharetta, as well as the new Verizon Amphitheater at Encore Park, the great shopping at Northpoint Mall, Avalon and The Collection atForsyth retail outlet, many differentparks, athletics facilities and Georgia Highway 400. This location is a commuter’s dream and the homes for sale in this area have plenty to offer to a household of any size.